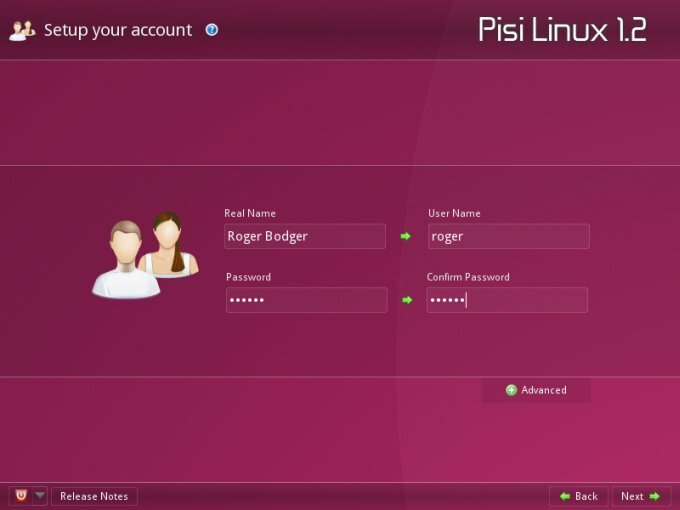 Several weeks ago, I was asked to review Pisi. This distro is a continuation of what the Pardus project was, which, for a brief while, I considered one of the most successful KDE4 versions on the market. Then it was gone. Pisi came in its stead, and continued the work. As always, you get a very unique spin, and lots of custom-developed tools and features. On the one hand, admirable, on the other, somewhat tricky and confusing for mainstream users. Worth a shot? Let's take a look. My first struggle was to actually boot Pisi. I failed to do that on physical hardware. I tried both USB sticks and DVD coasters on G50 as well as my RD510 laptops, to no avail. In both cases, nothing happened. Not even a boot menu. In the end I was forced to try the distro using a virtual machine. This IS one of those rare cases where I'm actually not going to be doing any real hardware review, just a basic system operability. It does not reflect the full capabilities of Pisi, its stability, speed or anything. But it's the least and the most that I managed to achieve. No foreplay. 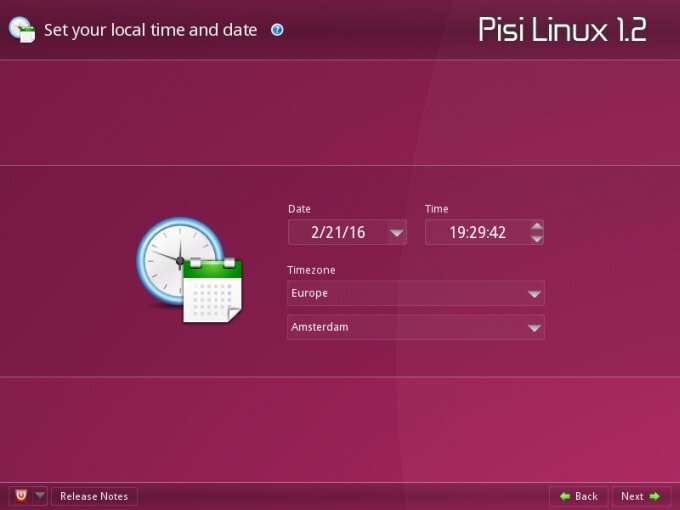 Pisi launched into an installer right way, guiding me through a simple, pleasant, predictable, somewhat SUSE-like process. It is very much Pardus, too, and overall, it works well. The one thing that surprised me a little was the partitioning step. I created swap first, then the root partition, and then I noticed they got swapped in their order. The swap got swapped. Get it. Hi hi. Indeed, the order was changed. It does not make much different, but it can potentially confuse users. However, the whole things was fairly simple to manage, if somewhat slightly archaic. The bootloader setup was also a little confusing. You get the KDE logo there. Why? 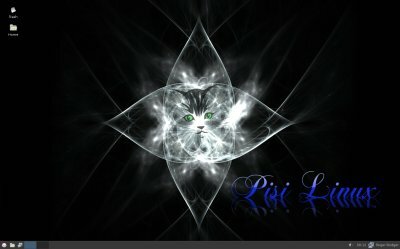 I know Pisi is primarily a KDE powerhouse, and thinking about it, I probably should have tried the main version, but then, lately, I have really been pleased with Xfce, so I thought about trying some other distros with this desktop environment. The installation took about half an hour, but again, the number is meaningless on its own, because it does not relate in any way to what we've done on physical hardware. It was completed smoothly, and after a few small, initial niggles with the Gnome session login, which doesn't really exist, go figure, we were up and running. Well, we don't have the full plethora of real stuff, so I can't test Wireless, Bluetooth, smartphone compatibility, and such. But I sure can test Samba sharing and printing, multimedia support, applications, unique features, and more. I started by humbly exploring the desktop. Apart from its background, the generic Xfce stuff is not really inspiring. The bland gray theme is a little depressing, and most entries in the menu seem to lack icons. It does not feel posh, modern or fun like some newer entries in the Xfce game. This could just be defaults, or the fact Pisi 1.2 runs a handful of legacy code. There is version 2.0 alpha out there, but it was too early for me to test and check. Super simple and fast. Then, there were no updates available for the system, even though version 1.2 dates back to July last year. Now, it is possible the ISO already packages all the needed goodies, but I'm not sure. At this point, I began struggling really, as even the basics were looking way too bland to my liking, and a virtual machine isn't something that gives you the full experience you need. With less than ideal desktop, flaky network stack, and setup constraints, I decided to call it a day. Not so much because Pisi was horrible, it was just I was causing everyone injustice, myself included. Then, you may ask, why run the review in the first place? Well, it does highlight the fundamental problems with this distribution, in its Xfce guise, and these include network problems and bad presentation layer. On top of that, the hardware support is also really awful, as I failed to get it running on real metal. So there we are. But overall, the question of validity of the review raises a valid [sic] point, and I am slowly becoming convinced that if a distro doesn't run well on physical hardware, I probably shouldn't bother. Like ever. I know what the Pisi team can do. I've seen it. Pardus was one of the more refreshing concepts for a long while, with its super-unique, super-friendly and frankly awesome approach to computing. 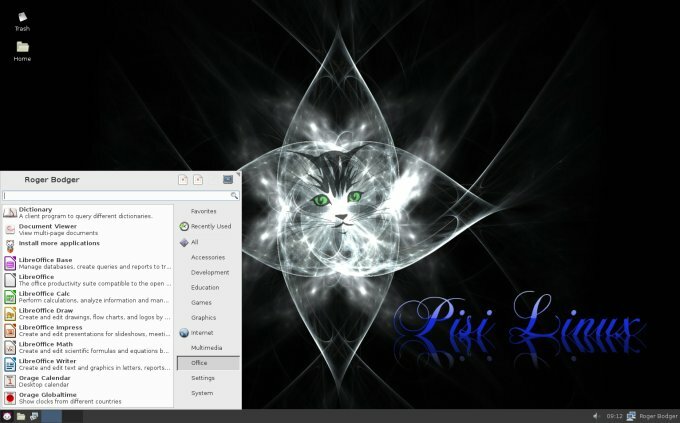 That seems to be missing from Pisi 1.2 Xfce, and I want it. The current release seems to have lost some of the flare, that enthusiasm, and that can happen when projects change their name, missions statement and whatnot. What I see is an almost template-like attempt to have an Xfce edition, without all that fire and fervor that we've seen with Xubuntu and Mint. First and foremost, the hardware piece. After that, everything else. And like Cindy sings, I wanna have fun. Alas, not meant to be this time around. Looking forward to version 2.0, which is currently in the alpha stage. Hopefully, it will be good. Seeing what Pardus had done once upon a time, I'm counting on it.